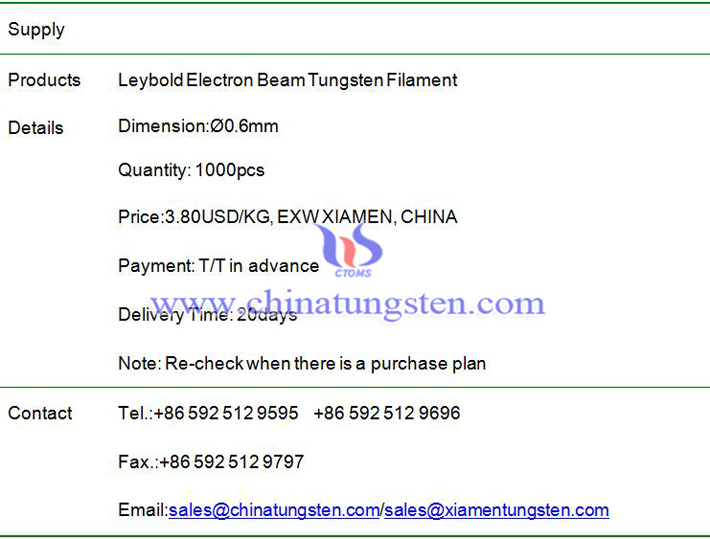 Leybold electron beam tungsten filament price is 3.80USD/PC on Mar. 22, 2019, EXW, Xiamen, China. This a filament suitable for Leybold machine, and used for vacuum coating.